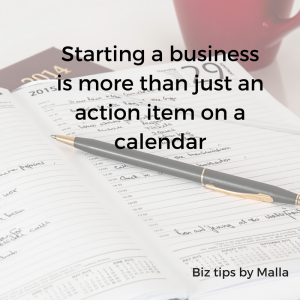 Starting a business is NOTHING like any of your other activities. There is no specific plan that is going to lead you directly to the “Promised Land”. Let me share one example I often highlight in my classes. I like giving attendees tough challenges in the beginning of the program. I want people to meet their “I can’t start this business” demons face to face. The sooner we meet them, the better. A recent example was a Black Friday/Shop Small Business Saturday challenge. Most of the students didn’t have a website. No large email lists. No social media accounts established. They were still in the idea stage. So I challenged them to create something and take part in the holiday retail season. The results? Epic. People got out of their comfort zone. They gained sales skills. Upped their tech knowledge. Flexed marketing muscles. In the end, it didn’t matter if they made any money. They gained tremendous insights. Got past the idea stage into the testing stage. And learned more about their target markets. I challenge you to get out of your comfort zone this holiday season. It doesn’t matter if you earn money or not. 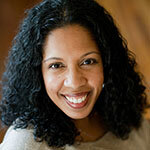 Consider an idea that will help you create a soft-launch for your business. You want to start learning about your people before you open your doors. And when you run into the “challenges”, be willing to talk to a mentor, coach, or another friend who runs a business. Get advice. Otherwise, the pattern might be the very thing that keeps your business from growing. Have you seen the statistic about the common reasons that small businesses fail? Money is usually the #1 or #2 reason. The list never includes motivation or lack of good ideas. 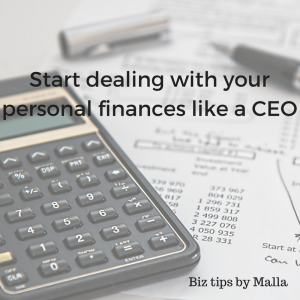 So start dealing with your personal finances as if you are the CEO of a company. This can be a hard task for many to swallow. Don’t wait until you officially open your business to learn these skills! Get a bookkeeping system like QuickBooks. Watch the how-to videos during your down-time. Learn how to create invoices and set up your books. Create a few test transactions so you can be familiar when you start. Talk to your network and interview a few accountants/CPAs. You don’t have to hire anyone immediately and it’s good to identify some potentials. Look at sample income statements and cash flow statements. You may not have numbers to fill in. But it’s easier to master these statements now when the pressure is not as intense. There is always one student in my classes who delays sales as long as possible. They over focus on writing the business plan, getting the website created, and the business card printed. But, they delay making their first sales for as long as they can. I love when people are prepared. But eventually, you need to stick your toe into the pool. So start with friends and family. You can practice selling items that are not your final business idea so that you can get comfortable with your sales pitch. There are hundreds of ideas that you can test out. I’ve done several of these tests myself over the years. You can start with selling extra things on Ebay or Amazon. Or test out your service with a limited sample of family and friends over the holiday. 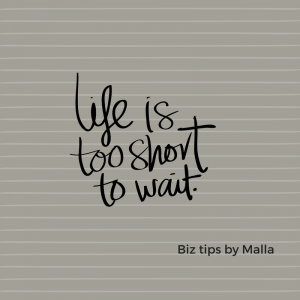 The key tip is practice before you become tied too emotionally to your business. So consider the above ideas while you have the holiday downtime and set yourself up to finally launch next year! !